A fun and easy way to start playing Salsa Piano! NOTE: this is the PDF-only version, videos not included, for $11.99. Are you a musician who grew up in a country where Latin rhythms are not a part of the culture and everyday life (affectionately known as a 'Gringo')? Have you always wanted to play Salsa piano but are frustrated with how elusive and complex it seems to be? Do you want to just have some fun and not exhaust yourself with highly academic method-books? If so, search no more, you're in exactly the right place! 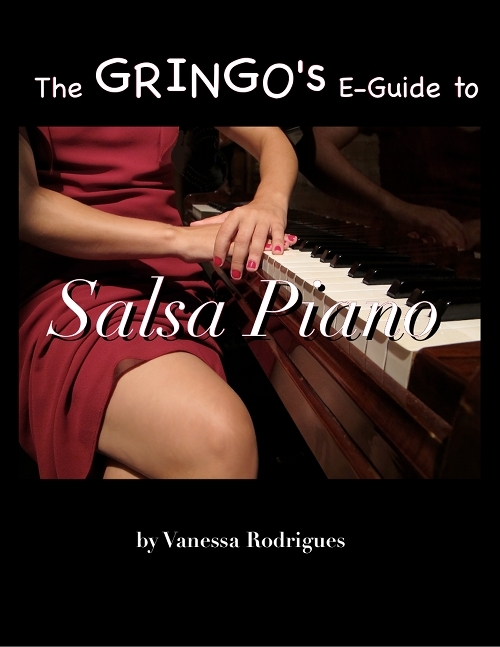 Now you can practice every montuno in The Gringo's E-Guide to Salsa Piano with this set of play-along Mp3s for only $5.99!